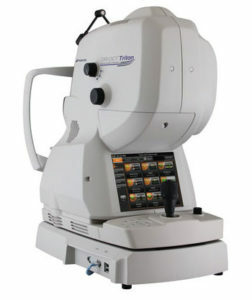 Royles Opticians have invested in an OCT (Optical Coherence Tomography) scanner. This new instrument, a Topcon ‘state-of-the-art’ 3D OCT, uses light rays to take a detailed image below the surface of the retina to give in-depth images of the eye’s internal structures. This allows our optometrists to assess and monitor changes which may affect your sight. 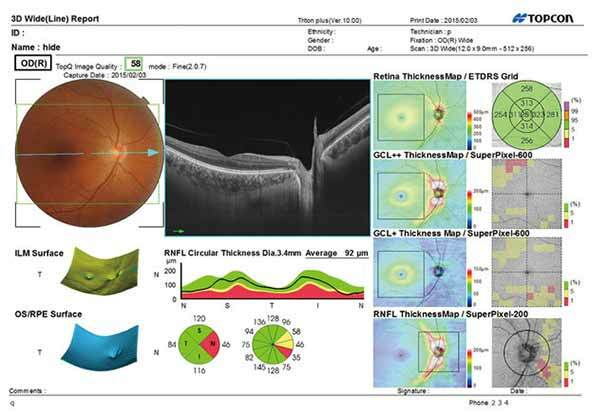 We recommend an OCT scan for patients with macula problems, or to detect subtle optic nerve changes in patients with a family history of glaucoma. This test is not NHS funded, and so a small charge will be made.